Brown Kraft Jewelry Box is two pieces with non-tarnishing synthetic cotton fill. This rectangle shaped deeper box is great for larger jewelry and small gifts. 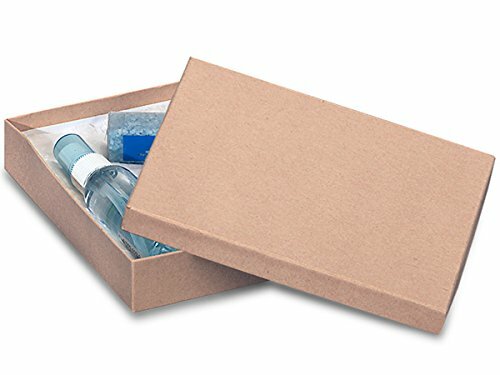 Jewelry boxes contain 100% recycled boxboard which is the largest component of the box by weight; this does not include paper outer wrap. Made in the USA. Green Way ® Eco-Friendly Packaging.